When faced with an unexpected situation, it is easy to give into feelings of hopelessness. The fear of the unknown is real and unsettling. When life takes a turn we did not plan, we may become fearful and feel out of control. It is important during these times to slow ourselves down and take a deep breath to think clearly. We do not want our decisions to reflect our fears but our hopes for the future. 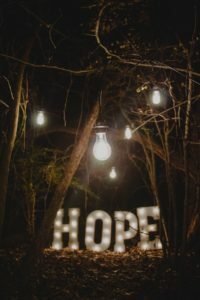 That’s why Your Options Medical exists: to offer hope. When patients visit Your Options Medical, they will first meet with one of our patient advocates. The role of our patient advocates is to talk with the patient about her unique situation and to determine how the organization may best serve her according to her particular circumstances. We know that each patient is at a different stage in life, comes from a different background, and differs in aspirations and goals. Patient advocates are trained to offer truthful information and resources in order to instill hope in each patient. A decision based on fear is often a regretted decision. Your Options Medical provides you with a safe place to receive answers to your questions, offers resources and support, and gives you the time you need to slow down, take a breath, and make a decision you know you can live with. An unexpected turn in life is not always the end of our world. Will these turns dramatically alter our current world? Yes, but many times it supplies us with an even more beautiful reality. Is it always easy being in the middle of what seems to be an apparent crisis? Of course not. But you have hope and help in the staff of Your Options Medical. We are here for you. Remember, anything worth doing is worth the struggle. Make an appointment at Your Options Medical today!